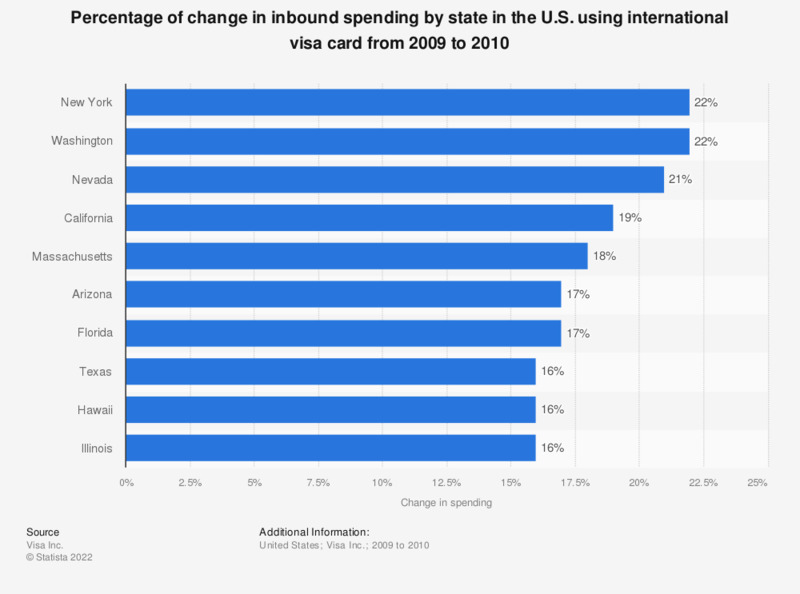 This graph shows the change in inbound spending in the U.S. by state from international visa card holders from 2009 to 2010. In New York, inbound spending increased by 22 percent. The visa payment card spendings by international visitors in the U.S. were evaluated across 26 broad merchant spending categories.